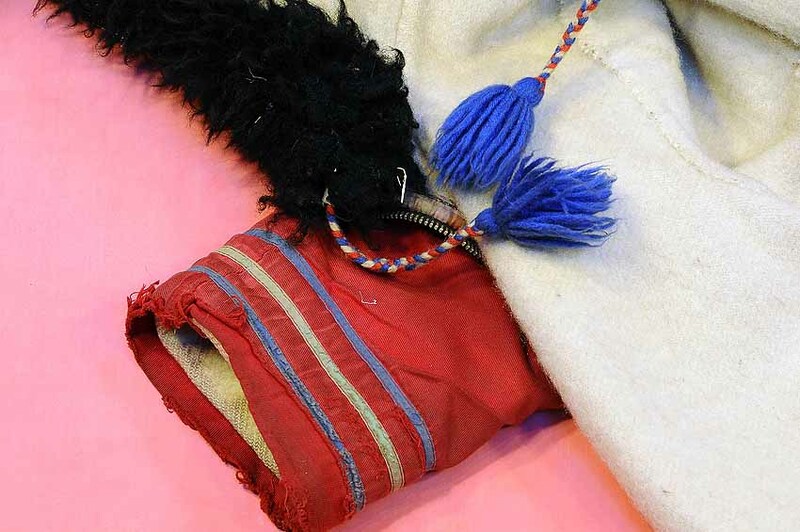 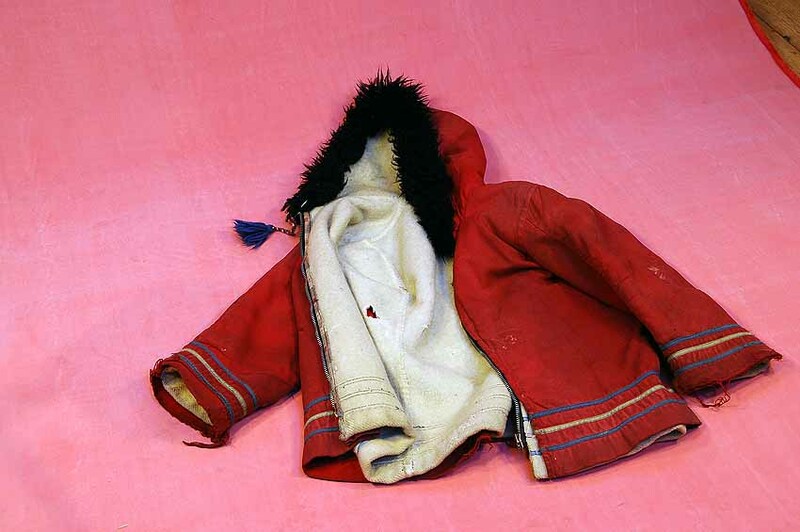 This lovely little anorak was made by the Inuit(native Indians) in Resolute, Canada for Rona Simpson, daughter of Hugh and Myrtle Simpson. 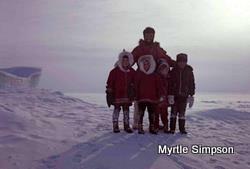 The Simpsons four children attended school in Resolute whilst Hugh and Myrtle attempted to reach the North Pole in 1969. Myrtle's book Due North 1970 published by Gollancz tells the story.